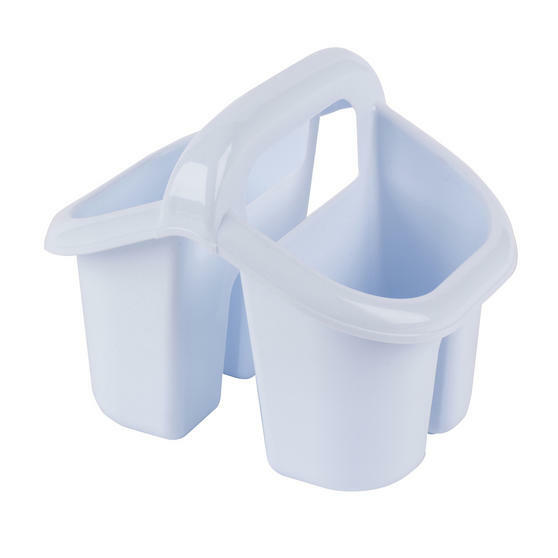 An ideal fit for any busy family kitchen, this Beldray cutlery drainer has separate sections for knives, forks, spoons and utensils. 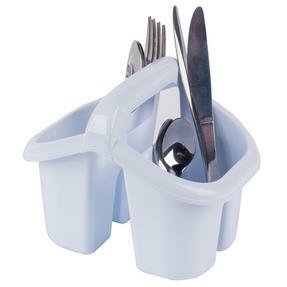 Designed with holes in the bottom, it allows water to drain away so your cutlery will dry quickly after washing up. The drainer has plenty of space for numerous pieces of cutlery while remaining compact and it has a convenient handle for effortless manoeuvrability. Made to bring some organisation to the kitchen, this superb cutlery drainer is a kitchen essential. 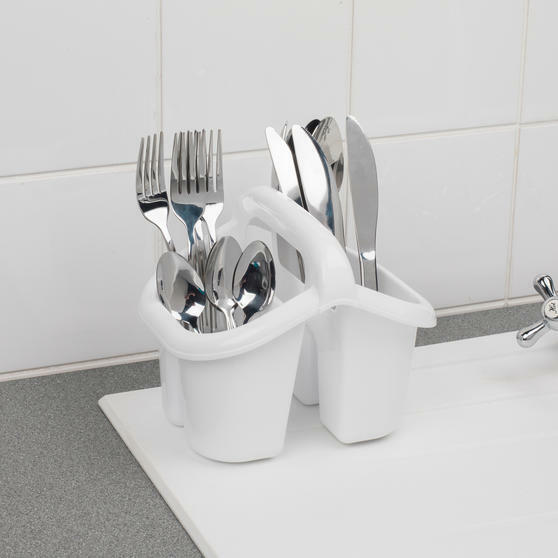 Keep your kitchen organised with this superb Beldray cutlery holder which has holes allowing water to drain away after washing up. 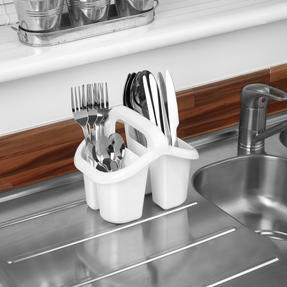 The sleek white design will fit in perfectly in any kitchen and it the drainer has four compartments to keep your cutlery separated. Featuring a convenient handle, it can be securely lifted allowing you to empty cutlery into a draw quickly and without any hassle. Measuring 19l x 15.5w x 16h cm, the drainer has plenty of space for numerous pieces of cutlery without taking up too much space.